Fuel your active life with 17 to 19 grams of plant-based protein and healthy, organic ingredients that taste like sunshine and joy. Variety packs are now available, too! 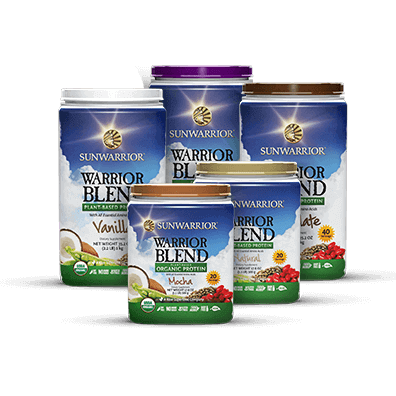 Kickstart your New Year with Sunwarrior’s most popular protein. Warrior Blend has what you need to make those resolutions a reality! Unleash that warrior! Powerful, plant-based protein from Pea + Brown Rice + Quinoa + Chia Seed + Amaranth. Pick up your Classic Plus at a discount while you still can! You’re always in motion. Fuel that active life with 17 to 19 grams of plant-based protein per bar. Made with healthy, organic ingredients that taste like sunshine and joy. 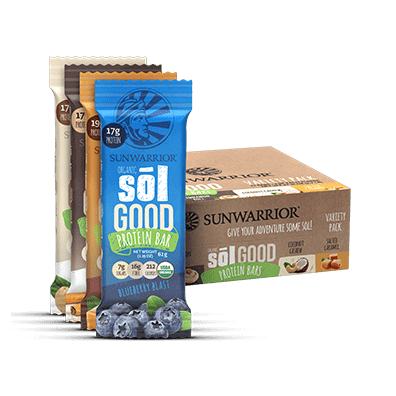 Sunwarrior is a premier all natural, raw, superfood company, dedicated to providing the best vegan plant-based protein powders and supplements. Our mission to Illuminate Body, Mind, and Planet drives everything we do, from fitness challenges in the office to creating smooth, great tasting vegan protein powder and vegetarian protein powder perfect for anyone and any lifestyle, not just vegans. 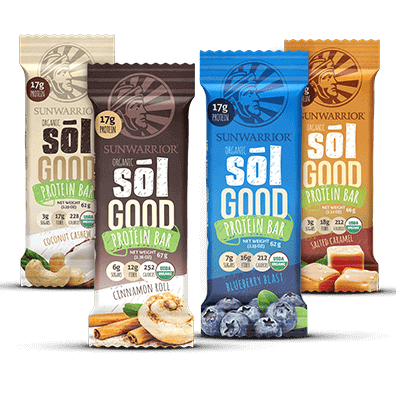 Sunwarrior protein is clean and completely free of gluten, GMOs, radiation, artificial flavors, artificial preservatives, artificial colors, soy, yeast, wheat, or added sugars. Plants provide some of the best concentrated nutrition. 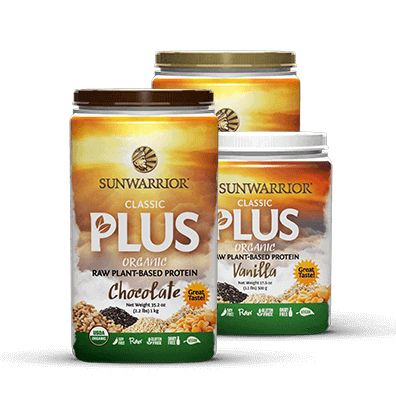 Sunwarrior creates powerful, vegan and vegetarian supplements, meal replacements, mineral complexes, immune boosters, and greens, each rich in some way, be it vitamins, minerals, enzymes, probiotics, amino acids, or antioxidants, so anyone wanting to amplify health and fitness can do exactly that.